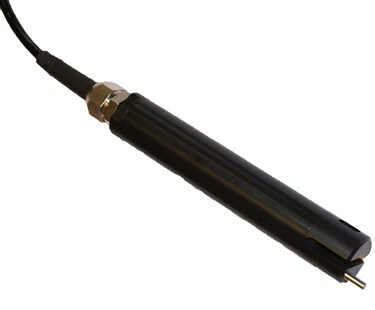 The WaterTechw² C4E Sensor has been designed to provide highly reliable Conductivity, Salinity and Temperature measurements. The multi-range sensor allows the same sensor to be employed in a wide variety of applications, the monitoring system being set up to provide the optimum accuracy and resolution for the intended application. Conductivity is a broad measurement that indicates the level of dissolved minerals in the water, for process waters it is an indicator that the water purifier system is not working. In some cases it can be used to prevent problems with scaling due to hardness of tap water, especially in boiler feed water. In many applications Conductivity can be used as a measurement of Total Dissolved Solids (TDS) and is a useful general indicator of water quality. 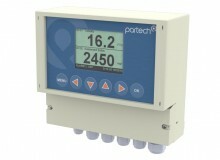 The WaterTechw² C4E Sensor has been designed to provide highly reliable Conductivity, Salinity and Temperature measurements. 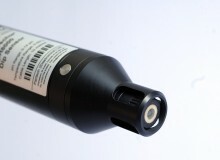 For installation in applications where fouling is anticipated we recommend that the sensor is installed using our specially designed mounting system, with a flexible joint in the mounting shaft. The flexible joint moves the sensor in the process, reducing bio-fouling and allowing rags to fall away from the assembly. This motion is similar to that achieved by using a floating ball assembly, with the added advantage of placing the sensor below the surface of the liquid. 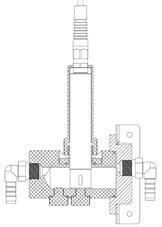 In applications where fouling is not expected or where there is insufficient space alternative mounting arrangements are available. Calibration The sensor is inherently stable, the measurement should be checked, the recommendation is every 6 months.